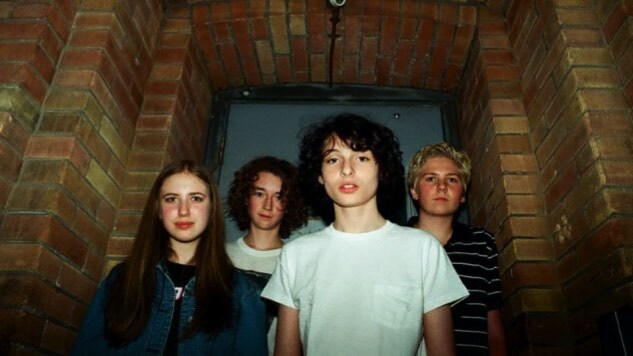 Vancouver, Canada quartet Calpurnia came together when Finn Wolfhard and drummer Malcolm Craig happened to meet on the set of a music video shoot. They hit it off right away, with guitarist Ayla Tesler-Mabe and bassist Jack Anderson later getting in on the act. Now, Calpurnia have signed to Royal Mountain Records (Mac Demarco, Alvvays, PUP), and are set to record their debut EP with Twin Peaks guitarist Cadien Lake James, targeting a 2018 release. Watch Calpurnia cover Twin Peaks’ “Wanted You” (off Down in Heaven) below, and find our list of Finn Wolfhard’s coolest musical moments right here. Here’s to many more.